Today we are spotlighting Ryan Serhant. Ryan Matthew Serhant is an American real estate salesperson and reality television star. Connect with us at wearelatech.com/podcast and tweet @WeAreLATech and @EspreeDevora. Today we are spotlighting Will Africano of GNARBOX. We are a company that makes the creative process easier for anyone with a camera. This episode is powered by Tinysponsor, https://tinysponsor.com/ - Tinysponsor is the world’s largest marketplace for sponsorships. Connect with us at wearelatech.com/podcast and tweet @WeAreLATech and @EspreeDevora. Today we are spotlighting Austin & Cam of WeAreTheDads. We are a group of 4 guys (that go by the "the dads") Why...honestly no clue we just like it! It just rolls off the tongue so we go with it! In all seriousness, there is a lot of drama on youtube now and we miss the days it was people doing REAL pranks and Challenges! This episode is powered by Tinysponsor, https://tinysponsor.com/ - Tinysponsor is the world’s largest marketplace for sponsorships. Connect with us at wearelatech.com/podcast and tweet @WeAreLATech and @EspreeDevora. Today we are spotlighting Jonathan & Nathan of Methodbox. Two brothers, Jonathan and Nathan, reunite in Los Angeles to explore the existential and abstract with creative storytelling and filmmaking. Contributing to our Patreon to show your support is the fuel we need to keep on going https://www.patreon.com/wearelatech/ - Connect with us at wearelatech.com/podcast and tweet @WeAreLATech and @EspreeDevora. Today we are spotlighting Cody Wanner of CAP Collective. CAP Collective LLC is a Harrisburg, PA based video production company, specializing in online video marketing content for small, medium and large businesses and non-profits. Contributing to our Patreon to show your support is the fuel we need to keep on going https://www.patreon.com/wearelatech/ - Connect with us at wearelatech.com/podcast and tweet @WeAreLATech and @EspreeDevora. Today we are spotlighting Trevor Wilkins of Quake Capital. If you have an early stage company looking to develop market leading products, services and solutions, then we can help. Quake can provide the capital, tools, access, expertise, and advisers to make your vision a reality. Contributing to our Patreon to show your support is the fuel we need to keep on going https://www.patreon.com/wearelatech/ - Connect with us at wearelatech.com/podcast and tweet @WeAreLATech and @EspreeDevora. Take a look at our companies and give us feedback, we love hearing from you! Today we are spotlighting Nick Daze of Block. At Block, we believe everyone deserves a great place to live. That’s why we’re working on technology to help renters find and get a great apartment faster and more easily than ever before. Contributing to our Patreon to show your support is the fuel we need to keep on going https://www.patreon.com/wearelatech/ - Connect with us at wearelatech.com/podcast and tweet @WeAreLATech and @EspreeDevora. Do get involved in the Block community in social media & in our platform if you’re looking for a place to rent. Today we are spotlighting Christopher Chapman of WeOverMe. WeOverMe is a new kind of co-op partner customized to your individual needs — experts in collaboration, creative culture, design thinking & innovation. Contributing to our Patreon to show your support is the fuel we need to keep on going https://www.patreon.com/wearelatech/ - Connect with us at wearelatech.com/podcast and tweet @WeAreLATech and @EspreeDevora. We’re here to help & support so if you or anyone you know can benefit from our services, get in touch. Today we are spotlighting Eshan Mathur of GameCake. GameCake - our games deliver thrilling, top-notch experiences for the screens that live there. 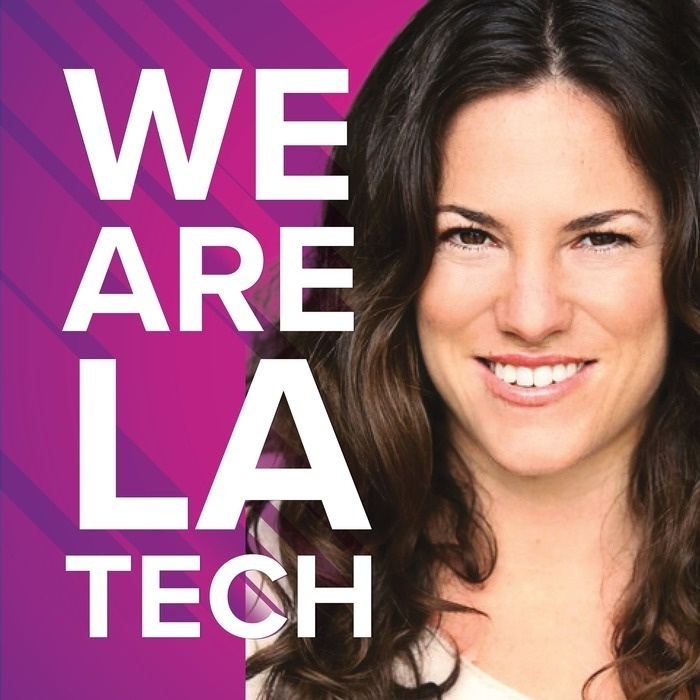 Contributing to our Patreon to show your support is the fuel we need to keep on going https://www.patreon.com/wearelatech/ - Connect with us at wearelatech.com/podcast and tweet @WeAreLATech and @EspreeDevora. Today we are spotlighting Zach Silverman of Deshyo. Deshyo is a non-algorithm based content aggregation platform designed to help content producers build their audiences more organically, while giving high customization and organizational capabilities to content consumers to discover and curate authentic relationships with each content producer they follow. This episode is powered by Intercom, https://www.intercom.com/ a new and better way to acquire, engage and retain customers. Connect with us at wearelatech.com/podcast and tweet @WeAreLATech and @EspreeDevora. I’m looking for a CTO so if you or anyone you know is interested in building Deshyo please reach out.